Dr. Weeks’ Comment: We, at the Weeks Clinic, have been offering low-dose targeted chemotherapy for 10 years as part of a comprehensive treatment protocol called “Corrective Cancer Care“. Over that decade, many oncologists have collaborated with us in this non-standard of care protocol and many patients have expressed gratitude. It is exciting work. Now, there are two more revolutionary developments in oncology which are encouraging movement away from the standard of care (conventional chemotherapy, radiation and surgery) and towards Corrective Cancer Care. Read both links below (#1 and #2) and share this information with your oncologist. 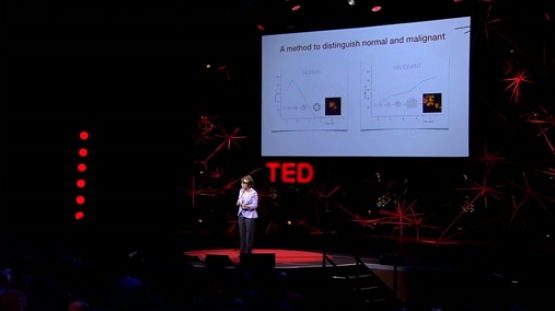 Article # 1 – Dr. Mina Bissell at www.ted.com which demonstrates that the context, the “extracellular matrix” has more of an effect on cancer developing that does the “oncogene”. This is heresy, but on we go riding Science towards new understandings and, despite experts on the former paradigms feeling chagrined, patients get better, which, after all the main goal of medicine… last time I checked! Cancer-busting chemotherapy can cause damage to healthy cells which triggers them to secrete a protein that sustains tumor growth and resistance to further treatment, a study said Sunday. They tested the effects of a type of chemotherapy on tissue collected from men with prostate cancer, and found “evidence of DNA damage” in healthy cells after treatment, the scientists wrote in Nature Medicine. Chemotherapy works by inhibiting reproduction of fast-dividing cells such as those found in tumors. The scientists found that healthy cells damaged by chemotherapy secreted more of a protein called WNT16B which boosts cancer cell survival. “The increase in WNT16B was completely unexpected,” study co-author Peter Nelson of the Fred Hutchinson Cancer Research Center in Seattle told AFP. The protein was taken up by tumor cells neighboring the damaged cells. “Our results indicate that damage responses in benign cells … may directly contribute to enhanced tumor growth kinetics,” wrote the team. 3D Diagnosis for skin cancer – very cool! Violin infected with a Fungus trumps the Strad!